Loose Weight by eating Soups! Soup is a comfort food, makes you think of Grandma’s Home Cooking and even helps you get over a cold! There is nothing like a pot of Chicken Noodle Soup to make you feel better. But Soup is more than that! It can actually help you loose weight. A 2014 study concluded, that soup eaters have smaller waists than people who do not eat soup. Broth based soups have less calories than cream soups, so try and stick with them if at all possible! If you do have a craving for something heartier, look for low-fat milk or low-sodium broth. Add your own vegetables for some extra fiber! Get in the habit of having a bowl of soup before dinner! It takes your brain 20 minutes or so to realize, that you had enough to eat! That is why you have that “stuffed” feeling when you eat too fast, you do not give your brain the chance to register that your stomach is full and send out the message to stop eating. By eating soup first, you have a little break between courses (and fill your stomach some), which gives the brain more time to realize that you had enough to eat! Here are a couple of cookbooks I discovered, that can help in your efforts. The Stop & Drop Diet shows you how to eat healthy versions of the foods you love so you can drop up to 5 pounds in 5 days! Have you ever tried Cold Soup? Check out the recipes in these books! The days are getting longer again, Spring is on it’s way soon. We tend to eat more fatty foods during winter, have more snacks and maybe a little more alcohol, so it’s time to Detox Your Body and get it back into top shape! The right combination of Schüssler Salts or Cell Salts, support the process and kick Your Metabolism in gear. You will feel better, have more energy and improve the look of your skin. You will also support your body’s self healing power. 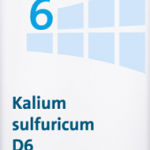 Start in the morning with Natrium Sulfuricum, it helps get rid of excess water and supports bowel function. 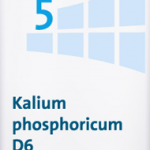 At noon, it’s time for Kalium Sulfuricum, which fights chronic infections and regenerates the skin. Calcium Sulfuricum gets taken in the evening. It has an anti-inflammatory effect and supports the growth of cells. It helps to regenerate the mucous membranes and supports bowel function. It also gets your Metabolism going. How do you take the Salts? Its recommended to dissolve 3 tablets in hot water and drink it, one swallow at a time. Be sure to drink plenty of water throughout the day to help get rid of toxins. If you are not able to dissolve the tablets in water because you are out and about, take them with you and dissolve 2 tables under your tongue. Remember that Schüssler Salts might have a different number than other manufacturers of cell salts do. Always double check the name of the cell salt. Did you know that Schüssler Salts/Cell Salts also come in Cream form? They can be hard to find, but you can make them yourself! Take Schüssler Salts/Cell Salts tablets, dissolve them in a little water until you get a paste, the amount of water depends on how many tablets you use, which in turn depends on how big of an area you have to cover. Apply to affected area and let it sit for at least 1/2 hour. Ferrum Phosphoricum for example, is considered to be the First Aid Cream. It works wonder on abrasions, bruises and anything that is red and causes throbbing pain. I fell in a bunch of burn weeds one time and had to ride my bike home before I could apply the cream. By then, my legs were all red already. The next morning it was all gone! Remember that Schüssler Salts might have a different number than other manufacturers of a cell salts do. Schüssler Salts/Cell Salts are an excellent source to use, if you want to boost energy. They bring your muscles, brain and nerves in gear. Take 6 tablets of each of these salts, You can pop them under the tongue or dissolve them in water. Remember that Schüssler Salts might have a different number than other manufacturers of a cell salts do. Always double check the name of the cell salt. Time to loose weight? Schüssler Salts/Cell Salts can help! The following Salts are the ones to support your efforts. The salts will help with hunger attacks, help to get rid of fat and boost the metabolism. Take 6 tabs of each cell salt throughout the day. You can pop them under the tongue or dissolve them in water. Help your body fight off colds by boosting your immune system! The right mix of cell salts will help you accomplish that goal. Dissolve 2 tablets of each cell salt in a glass of water and drink it 1/2 hour before or 1/2 hour after a meal. The best way to get away from it all is a vacation by the ocean, relax, forget about everything for a while and enjoy nature! 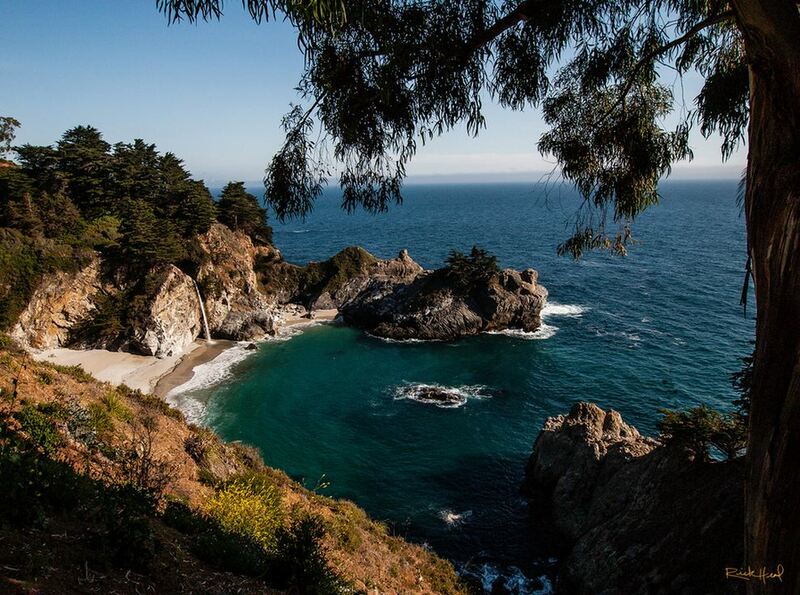 There is no better place than Big Sur! 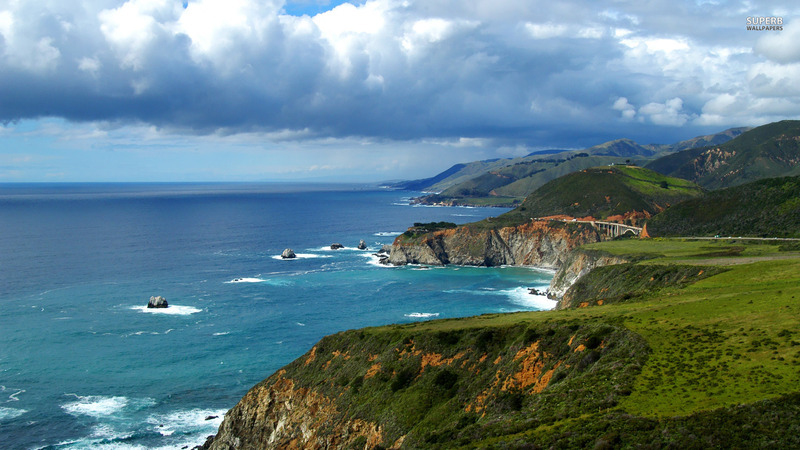 Big Sur is located on Highway 1 which runs along the California Coast. 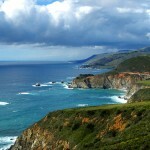 It is between Carmel and San Simeon, with the Pacific on the West side and the Santa Lucia Mountains on the East side. 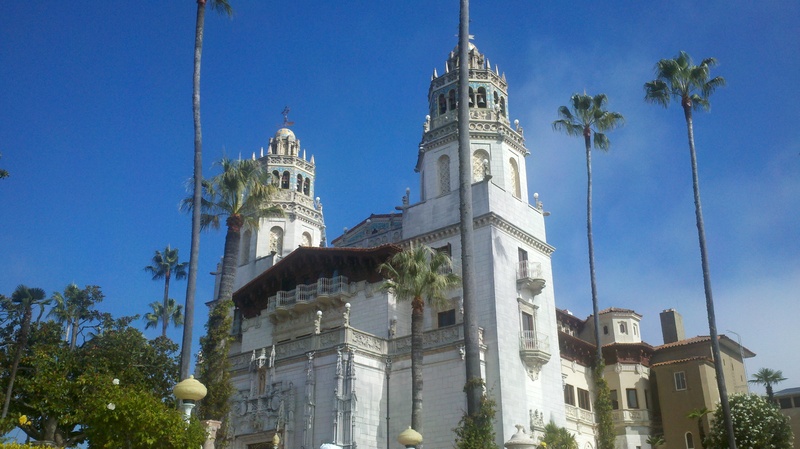 Before you start up the coast, be sure to stop at The Hearst Castle which was build by William Randolph Hearst. There are 4 different tours and in the spring and fall only, a special evening tour where you can see the estate at night time! 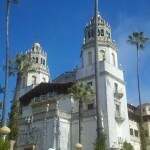 Get information at www.hearstcastle.org. Numerous hiking trails wind through the rugged Santa Lucia Mountain range, through Redwood Canyons and sun-drenched ridges. Less strenuous but equally fun hikes can be made from well marked points of interest along the highway. Sand Dollar beach is a day use area within the bounds of the Los Padres National Forest, and serviced by the US Forest Service. A $5 day use fee is charged at the entrance. There is no wheelchair access to the beach, and a stairway consisting of 98 steps provides access to the beach. Sand Dollar Beach is the largest beach on the south coast of Big Sur. Monterey County offers plenty of places to pitch a tent or park a recreational vehicle. Some of these campgrounds and RV parks offer shower facilities, hook-ups and barbecues. Others are primitive, with nothing more than a few signs here and there. Perhaps the best part about camping and RVing in Monterey County are the backdrops: ocean and redwood views. The Post Ranch Inn has been voted California’s best hotel, numerous times. They offer package deals for Weddings and Honeymoons and breathtaking views! Another unique place to stay is the Treebones Resort. Here you can spend the night in a Jurt! A traditional yurt is a portable, round tent covered with skins or felt and used as a dwelling by nomads in the steppes of Central Asia. Of course, the ones at theTreebones Resort are a little bit more luxurious! The Nepenthe is a favourite restaurant close to the Post Ranch Inn. It is famous for it’s Three Berry Pie. Lucia Lodge is half way between San Simeon and Carmel and was constructed in the 1930’s by the Harlan family. It’s the perfect place to relax and enjoy the views!